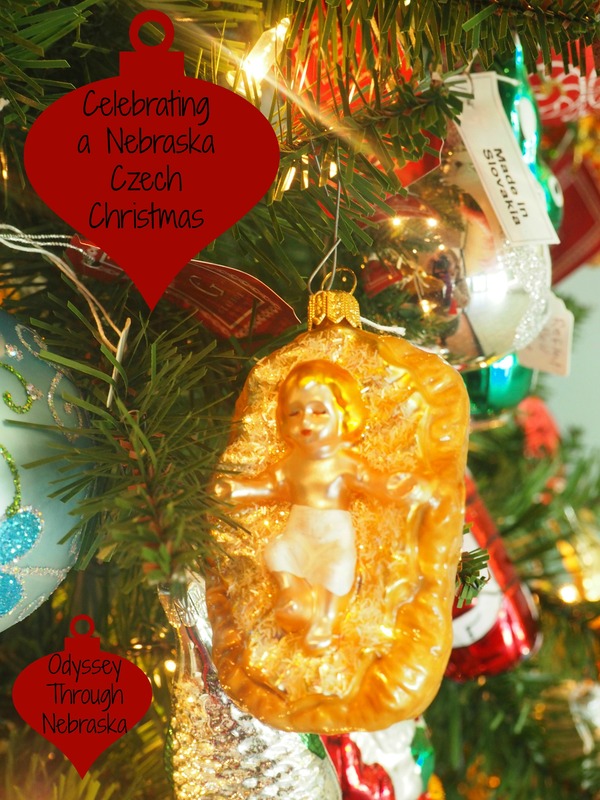 Have you ever longed to celebrate a Nebraska Czech Christmas? I have to say that until I married my husband I had never thought about this culture. 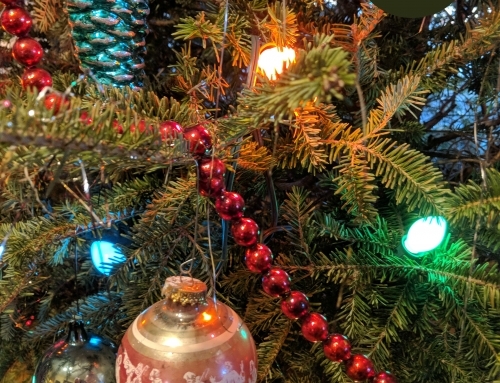 I grew up celebrating a Swedish Christmas with occasional German touches thrown in. As I did marry into a bit of Czech culture, I definitely am a bit intrigued. Other than sauerkraut at Thanksgiving, I am not sure that they celebrate with Old Country traditions anymore. 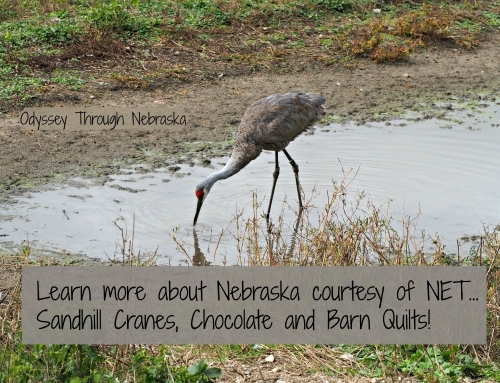 Perhaps we need to change that and give our children a taste of a Nebraska Czech Christmas. 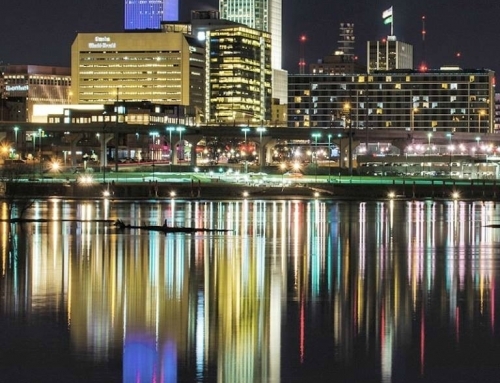 Recently, my husband and I spent the afternoon in Omaha together. Part of our outing involved visiting the Czech and Slovak Museum Education Center and Museum. My husband instantly felt at home with the polka music. Any visit to his Grandma Dolezal’s home always involved accordion music. At some point, I will tell you more about this wonderful museum found in the heart of Omaha. 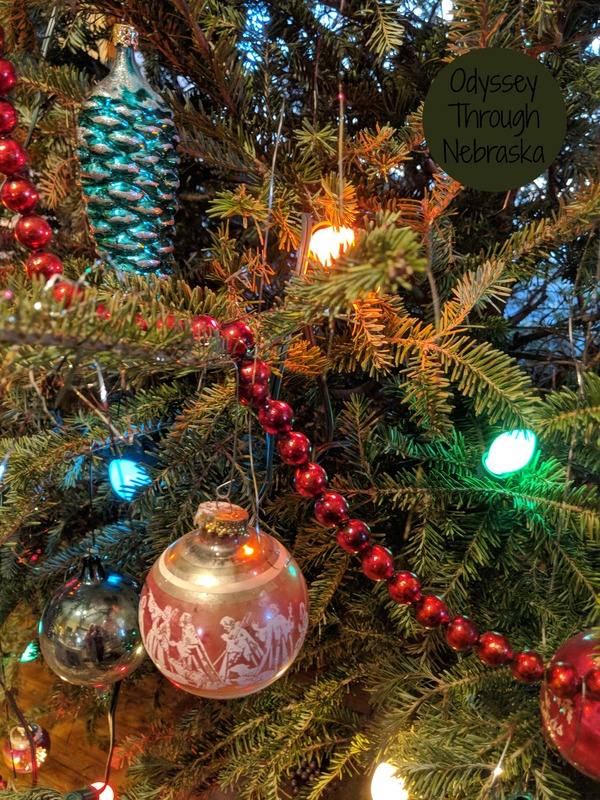 But since this is one of my “Home for the Holidays” posts, I thought instead I would introduce you to ways that you can celebrate a Nebraska Czech Christmas. 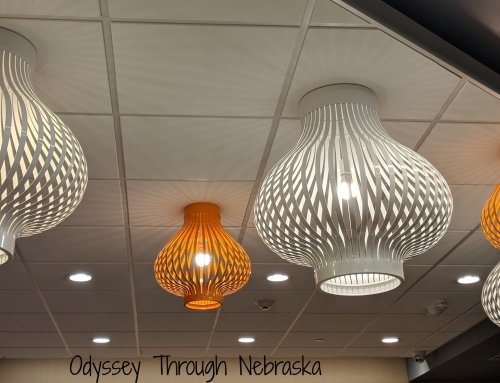 Many of the suggestions are found at the Omaha Museum. I will also try to include some links to other possibilities in case you are unable to make it up to Omaha in the next ten days. Once there was a Bohemia. Moravia. Silesia. All regions once a part of Czech Lands. Then Czechoslovakia. Later on, two countries. Czech Republic (now Czechia) and Slovakia. The name of the museum reflects both cultures. To simplify the wording of this post, I simply refer to the people as Czechs rather than Czech and Slovaks. Although they may not specific Czech Christmas cookbooks, many of their books do have a Christmas section. Learning to cook Czech is a process. Pastries are a part of their dessert offerings. Evidently one important part of the menu is Vánočka houska. This braided sweet bread includes glazed fruit and is decorated with cherries and nuts. Ready for your Czech lesson for the day? This type of bread literally means “Christmas braid.” (As to how to pronounce it, you may need look that up. ) The Czech and Slovak Museum has limited quantities of this specialty bread available. 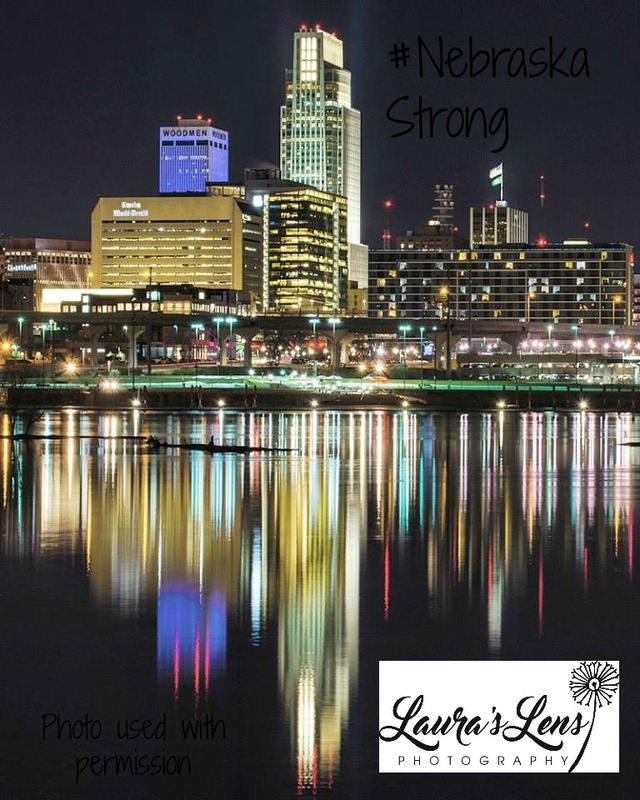 If you are wanting several loaves, call them this week-end at (402)­ 686-­9837 to place your order. The museum will be open on December 23rd, so you can pick up your order then. Unable to make it to the museum? Here is a link to a recipe to make your own Czech Christmas bread. As you can tell from the recent blog images, the Czechs are known for creating beautiful glass ornaments. In fact, glass is one of their biggest country exports. My favorite ones were the ornaments featuring Baby Jesus in the manager. Besides this, they also celebrate with paper nativities. The Museum has sets of these available. Besides the Queen Theresa books, the Czech and Slovak Museum does have other selections. Some of the titles tell the story about King Wenclesas. This good king once ruled Czech. As to fun books, one of my favorite books is Carl the Christmas Carp. Evidently Czech people used to catch carps, then let them swim in their tubs for several days before serving them for Christmas dinner. The picture book tells what happens when a boy decides he would rather not eat the carp. Note: This is an affiliate link. If you purchase this book by clicking, “Buy Now,” you help support this website at no extra cost to you. Shoe throwing. Golden pigs. The Czech definitely have some interesting traditions. If you would like to include some of their ideas as a part of your Christmas celebration, you can learn more ideas from this site. Their location is open on most Saturdays and Sundays throughout the year. If you want to bring a group, you can arrange for them to be open at a different time. Although there is no charge to visit this wonderful location, they do welcome the support of donations. A BIG thank you to John Rocarek who is one of the faithful volunteers who makes this great Nebraska museum possible. He kindly answered my questions about celebrating a Nebraska Czech Christmas. Plus he told me how the museum could make that process a bit easier. And the fact that he was willing to have a conversation when the museum was closed tells me a lot about the type of generous person that he is.